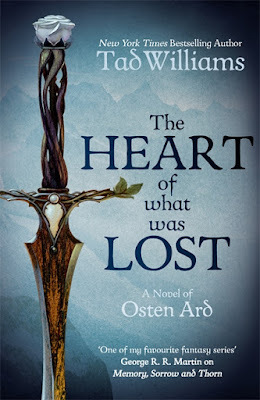 DAW Books have confirmed that The Witchwood Crown, the first novel in the Last King of Osten Ard trilogy by Tad Williams, has been delayed. Fortunately, only by a few weeks. The Witchwood Crown will now be published on 27 June 2017 rather than April. Apparently this is because DAW took longer than expected to complete preparatory work on the manuscript and marketing wanted more time to build up excitement for the novel. The short "linking novel", The Heart of What Was Lost, which takes place shortly after the events of the Memory, Sorrow and Thorn trilogy, will still be published next week, on 4 January. There's been a glut of memorials and reminiscences for those who've left us recently, so it might be refreshing to celebrate those who are still with us. Today marks the birthdays of two pioneers and legends in their particular fields. 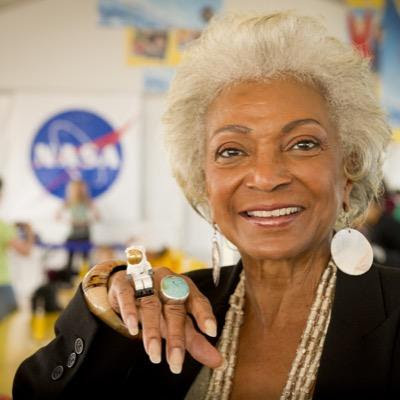 Nichelle Nichols turns 84 today. She is best-known for portraying the role of Lt. Nyota Uhura on the original Star Trek series, on which she was cast after working with producer Gene Roddenberry on his previous series, The Lieutenant. Roddenberry was keen on portraying the crew of the Enterprise as diverse and insisted on including an African-American woman on the main crew. Uhura's prominence in the cast, including having her name in the main credits, was unusual during a period of pronounced racial tensions in the United States. Despite her prominent role on the cast list, Nichols' character didn't have a huge amount to do and she considered leaving after the first season to return to musical theatre. However, she met with Martin Luther King, Jr., a fan of the series, and he convinced her to remain as he found her role, however small, inspiring. Nichols remained on the show until its cancellation in 1969 and returned to voice the character on Star Trek: The Animated Series. After Star Trek's cancellation Nichols was recruited by NASA to help set up a program to recruit female and minority staff. The program was extremely successful, with recruits including Sally Ride (later the USA's first female astronaut), Charles Bolden (the current NASA administrator), and Guion Bluford, the first African-American astronaut. In 1976 Nichols was a special guest during coverage of the Viking landings on Mars and, along with the rest of the Star Trek cast, was invited to the christening of the test shuttle Enterprise. Nichols reprised her role as Uhura in the first six Star Trek movies from 1979 to 1991 and also in an episode of the fan-made series Star Trek: Of Gods and Men. She has appeared in other TV series, including a guest role on the NBC superhero drama Heroes and a recent appearance on the independent SF production Renegades, as well as doing extensive voice work. She played herself twice on Futurama. Also celebrating a happy birthday today is comic book legend Stan Lee, who is 94. 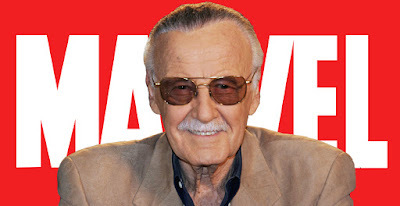 Lee created or co-created most of the major characters to come out of the Marvel Comics stable in the 1960s. These include: the Fantastic Four (1961), the Incredible Hulk (1962), Thor (1962), Iron Man (1963), the X-Men (1963), Doctor Strange (1963), Daredevil (1964), Black Panther (1966), Falcon (1969) and, by far his most famous creation, Spider-Man (1962). Lee's masterstroke was to create a shared universe which all of these characters would inhabit simultaneously, and to also set the stories in real locations the audience would already be familiar with, such as New York. This stood in contrast to Marvel's biggest competitor, DC, which created fictional locales such as Metropolis and Gotham City for its biggest characters, Superman and Batman. In 1963 Lee also began big team-up events, resulting in the formation of a super-team known as the Avengers. To expand the roster of characters, Lee also resurrected older characters that Marvel had inherited the rights to, most notably Captain America and the Sub-Mariner, and brought them to a new level of fame and success. In 1972 Lee stepped back from writing the comics, bringing on board a new team of writers whilst he focused on the business side of things. Marvel went from strength to strength, most notably during Chris Claremont's lengthy run on X-Men (from 1975 to 1991), as well as thanks to the introduction of many new characters such as Luke Cage and Iron Fist. Lee stepped back from the comics business in the early 1980s to focus on developing Marvel characters for TV and film. Lee appeared on-screen in 1989 as a juror in the TV movie The Trial of the Incredible Hulk, establishing a precedent that he would be given a brief cameo in every Marvel live-action production. This was further codified by his cameo appearance in the first X-Men movie (2000) and almost every Marvel-related movie since then. He has also appeared in small roles in other films, including a memorable turn as himself in Kevin Smith's Mallrats (and a mooted return in the forthcoming sequel TV series). Many happy returns to both of these genre legends! Ash Williams and his team-mates Pablo and Kelly have forged a truce with Ruby, the creator of the Necronomicon, and gone on holiday to Jacksonville. However, Ruby's fellow evil forces have reneged on the deal, forcing Ruby to reluctantly seek out Ash and join forces with him. They return to Ash's home town of Elk Grove to confront and destroy Ruby's "children", but in the process inadvertently unleash the evil forces of of the demon Baal. Ash vs. Evil Dead's first season was very much just what fans of the movies were hoping for: a carnage-strewn action-comedy vehicle that allowed Bruce Campbell to do what he's best at, killing monsters and cracking wise. It improved on that by introducing a team of supporting characters and actors who could also handle themselves and call Ash on his outdated, stereotypical viewpoints, whilst still ensuring that the heroic appeal of the character remained intact. It would have been easy to do more of the same in Season 2, but the producers have cleverly evolved the premise. Taking Ash back to his home town where he is still blamed for the carnage from the first two Evil Dead movies, even by his deadbeat dad (a masterfully-cast Lee Majors, the Bionic Man himself), is a good move which expands on Ash's backstory and reveals more of how he ended up being the way he is. There's also a lot more inventiveness in the scripts, and a willingness to engage with other horror films. A Christine-influenced subplot has Ash and his friends being menaced by Ash's own car, whilst another episode riffs on Assault on Precinct 13, with Ash and some of the suspicious townsfolk trapped in a police station and under siege from evil forces. Another episode sees Ash wake up in a mental hospital and having to confront the possibility that everything he thinks has happened is actually the result of a psychotic breakdown. Of course, that would be lame but the producers go all-out in this particular instalment, adopting a different shooting style and forcing the actors to up their game of dramatic intensity. Events eventually lead - thanks to Ash spontaneously remembering the ability of the Necronomicon to travel through time (for copyright reasons Army of Darkness could not be referenced in Season 1, but is fair game in Season 2) - back to the cabin in the woods and a lot of callbacks to the first two movies. This is only partially successful, with some great riffs on the old material, but it does go on a bit long and the story takes a weird turn at the end. Behind-the-scenes drama, including showrunner Craig DiGregorio quitting after another producer interfered and rewrote the finale, is to blame for this. It remains to be seen if Season 3 can maintain the same standards now the creative team has changed. The second season of Ash vs. Evil Dead (****) builds satisfyingly on the promise of the first season. It's even more inventive, willing to be more original and challenge the actors with more interesting material. It's even more bloody and even more disgusting, and some fans may be less keen on a dialling back of the comedy elements in favour of the horror (particularly towards the end of the season), but overall it's a highly watchable and extremely gory slice of entertainment. Fifteen years after the end of the Clone Wars and the rise of Emperor Palpatine, the planet Lothal is under the grip of the Galactic Empire. Petty thief Ezra reluctantly joins forces with group of rebels operating from the freighter Ghost. Their mission is to disrupt Imperial activity in the Lothal system...unaware that they are just one of many cells fighting the Empire across the galaxy. 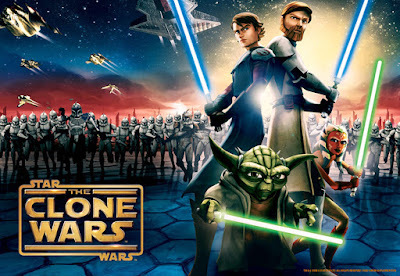 When Disney took over Lucasfilm in 2012, they rather abruptly cancelled the animated series The Clone Wars and requested that a new show be created to tie in with the "classic" Star Wars movies. Producer Dave Filoni and his team at Lucasfilm Animation could have phoned in some new kiddy's show, but instead took the experience and expertise gained on five-and-a-half years of The Clone Wars and applied them to the new project. Rebels is the result. Beginning four years before the events of A New Hope, this new show has a "classic" Star Wars set-up, with a bunch of mis-matched renegades coming together on a cool spaceship to stick it to the Empire. 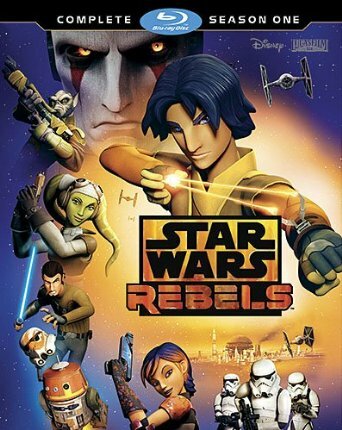 The new characters are familiar archetypes: Ezra is the young, inexperienced thief; Kanan is the more experienced mentor figure; Hera is the professional, cool pilot and mercenary; Sabine is the slightly offbeat and hippy-ish expert Mandalorian marksman; Zeb is the blustering muscle; and Chopper is the irascible and unusually violent astromech droid. But they're well-drawn with some great voice acting and impressive character depth. When it comes to "misfit crew sticking it to The Man" stories, Rebels certainly fills the void left by Firefly and the Tales of the Ketty Jay novels. It's also good that Rebels takes a very different approach to The Clone Wars. The Clone Wars was an anthology series, drawing on stories from across the entire galaxy and different periods in time. This was effective, but it also meant that some characters showed up once and were never seen again, or that ongoing character development was sometimes interrupted for half a season or longer as the focus moved elsewhere. Rebels is a tightly-serialised drama, with each episode following on from the previous one and even early-season, stand-alone stories are eventually revealed as tying into the main story arc in unexpected ways. Even minor villains get some pretty decent development. There is a slightly different visual design to The Clone Wars and the show's first couple of episodes do feel like they are being aimed at a younger audience. But the show matures quite quickly and it's not long before more interesting stories are being told about the nature of good and evil. A scene where Grand Moff Tarkin shows up and "clears house" of the incompetent Imperial officers who've been repeatedly humiliated by our heroes is quite startling. The producers also don't hold back on some of the more morally questionable decisions taken by the Ghost crew: one scene where a jealous Chopper "kills" another droid in a fit of jealousy after the crew start praising him is both mildly disturbing and easily the funniest Star Wars scene in decades. The stories flow quite nicely, there's some excellent action set-pieces and some amusing comedic moments. 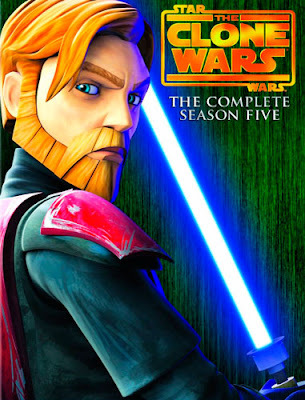 The conclusion of this first season also ties the series in better with both The Clone Wars and the movies, setting the scene for larger events to come. The first season of Star Wars: Rebels (****) is thoroughly enjoyable for Star Wars fans of all ages. It is available now in the UK (DVD, Blu-Ray) and USA (DVD, Blu-Ray). 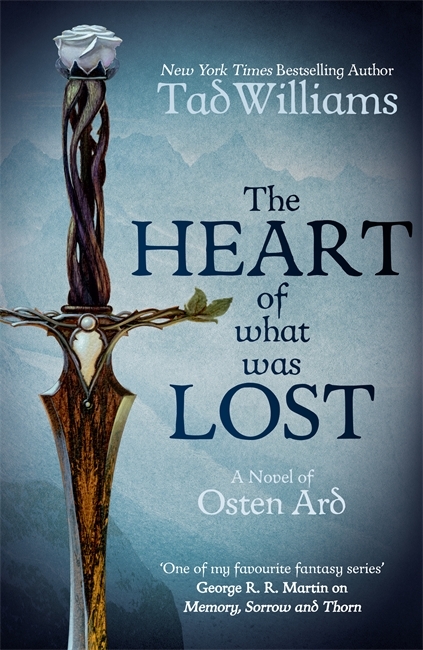 2006 saw many debut fantasy novelists begin their careers, most famously Joe Abercrombie, Daniel Abraham and Scott Lynch. 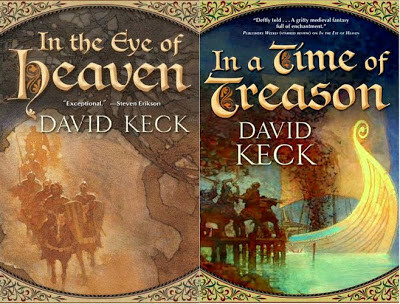 Slightly less well-known is David Keck, whose first fantasy novel, In the Eye of Heaven, was published to moderately good reviews. He followed that up with In a Time of Treason in 2008, but his third novel has been MIA since then. The good news is that the book, A King in Cobwebs, has been completed, delivered to Tor and returned for edits (now completed). The book is making its way through Tor's publishing machinery and should be out, hopefully, in 2017 or 2018. The fates of other long-awaited fantasy novels is less clear. Patrick Rothfuss is still working on The Doors of Stone (curiously, since an apparently-completed manuscript was circulating with beta readers over two years ago), George R.R. Martin is still working on The Winds of Winter and J.V. Jones remains completely MIA. However, Ken Scholes has delivered Hymn, the long-awaited final novel in The Psalms of Isaak, and that will be released in December 2017. American actress and writer Carrie Fisher has passed away at the age of 60. She is best-known for playing the role of Princess Leia in five of the Star Wars movies, a TV special and two video games. Fisher was born in 1956 in Beverley Hills, Los Angeles. Her father was singer Eddie Fisher (who passed away in 2010) and her mother was actress Debbie Reynolds (who has outlived her daughter). Although described as a quiet bookworm as a child, she followed her parents into showbusiness. Her screen debut came in the 1975 musical Shampoo but Star Wars (1977) was her breakout role. Whilst shooting the movie in 1976 she had an affair with co-star Harrison Ford, which was kept secret until earlier this year. Fisher reprised the role of Princess Leia in The Star Wars Holiday Special (1978), The Empire Strikes Back (1980) and Return of the Jedi (1983). During this time she became addicted to drugs. She eventually overcame the addiction and publicly admitted her problems in her 1987 autobiographical novel Postcards from the Edge, which was adapted for the screen. This began a second career for Fisher as a novelist, non-fiction writer and Hollywood commentator. Acting roles continued with appearances in films such as The Blues Brothers, Hannah and Her Sisters, The 'Burbs, When Harry Met Sally..., Hook, Scream 3, Jay and Silent Bob Strike Back (alongside fellow Star Wars actor Mark Hamill) and Fanboys, whilst she wrote additional books including Surrender the Pink, Delusions of Grandma, Hollywood Moms, The Best Awful There Is, Wishful Drinking, Shockaholic and The Princess Diarist. In 2012 Fisher also appeared as a newscaster in the steampunk video game Dishonored. She reprised her role as Princess Leia in the video game Super Star Wars: Return of the Jedi in 1994, but it was assumed that she would not reprise the role again given that George Lucas was developing a prequel trilogy of movies instead (which concluded with the birth of Leia). However, around 2010-11 Lucas entered discussions with Fisher, Mark Hamill and Harrison Ford about a possible sequel trilogy. In 2012 Disney bought the Star Wars franchise and rights and put the new films (albeit with a new storyline) into rapid development. 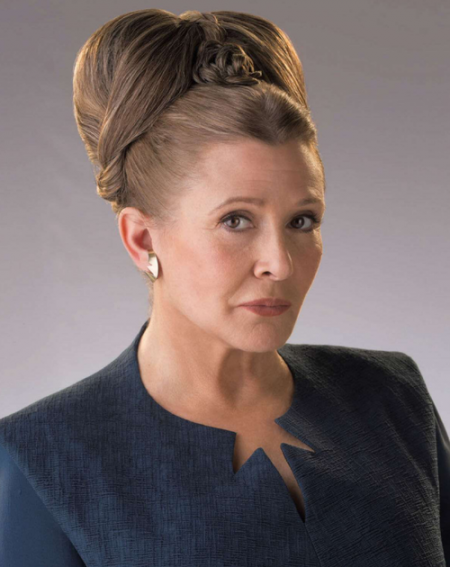 Fisher appeared in The Force Awakens (2015) and also voiced Leia's appearance in the spin-off Lego Star Wars video game (although, contrary to some reports, she did not voice the character during a brief appearance at the end of Rogue One). Fisher had completed filming for Star Wars: Episode VIII, which will be released in December 2017, and also completed her memoirs, The Princess Diarist. Whilst on a flight from London to Los Angeles after publicising the work she suffered a cardiac arrest and was taken to hospital. Fisher is notable for achieving success in several different spheres, for being very public and honest about her life and for chewing up Hollywood as much as it had tried to chew her up. Her wit, humour and honesty, refreshing in Hollywood, will be missed. Richard Adams, an accomplished fantasy novelist, has died at the age of 96. 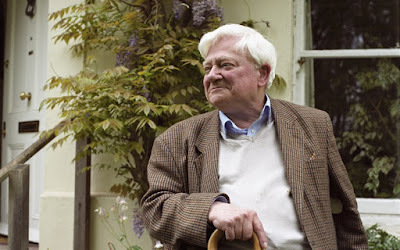 He was best-known for his children's novel Watership Down. Adams was born in 1920 in Wash Common, Berkshire, and served in the Second World War as a brigade liaison in the Middle East. Upon returning from the war he studied for a degree and joined the Civil Service in 1948, continuing to work there until 1975 when he left to focus on writing full-time. In 1970 he began telling a story about rabbits to his two young daughters, coming up with a new episode each evening to tell them on the way to school the next day. They were caught up in the story and asked him to write it down. After being turned down several times, it was published in 1972 to immediate critical acclaim and high sales. The book was noted for its worldbuilding, with the rabbits being given distinctive characteristics and a highly-detailed society and mythology. In 1974 Adams published his first novel for adults, and his first explicit work of secondary world fantasy. Shardik is set in a detailed fantasy realm known as the Beklan Empire and focuses on Kelderek, a hunter who becomes convinced that a huge wild bear he has encountered is the incarnation of the god Shardik. His faith in the bear is sorely tested but ultimately leads him to find happiness and contentment. In 1977 Adams revisited his concept for Watership Down, this time in a novel about dogs who escape from an animal testing laboratory and seek salvation in the world outside. However, their ability to deal with the outside world is compromised by the medical alterations performed on their brains. The Plague Dogs also enjoyed a strong critical reception. 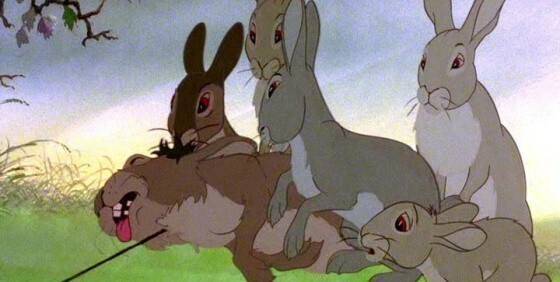 British film-maker Martin Rosen adapted both Watership Down and The Plague Dogs into animated films, in 1978 and 1981 respectively. Watership Down's film was an enormous success, thanks to its distinctive voice acting, the impressive quality of its animation and the film's theme song, "Bright Eyes", sung by Art Garfunkle. Between 1999 and 2001 Rosen adapted Watership Down a second time as an ongoing TV series which lasted for three seasons. It was not as well-received as the earlier film due to being aimed at a younger audience and having most of its violence and graphic imagery removed. "All the world will be your enemy, Prince with a Thousand Enemies, and whenever they catch you, they will kill you. But first they must catch you, digger, listener, runner, prince with the swift warning. Be cunning and full of tricks and your people shall never be destroyed." After a supernatural thriller, The Girl in a Swing (1980), Adams returned to fantasy with his longest novel, Maia (1984). A semi-prequel to Shardik, the book tells the story of a young woman sold into slavery in the Beklan Empire who manages to turn her circumstances to her advantage. Traveller (1988) recounts the life of Confederate General Robert E. Lee from the POV of his horse. Daniel (2006) explores the ramifications of the slave trade on a young plantation worker who manages to escape and campaigns in England for the abolition of the trade. In 1996 Adams returned to his most famous creation for Tales from Watership Down, which adds more episodes and short stories to the original narrative, including a larger and more substantive role for does (the original novel having been criticised for ignoring the fact that, in the wild, female rabbits are more likely to leave an established warren to establish a new one than young males). Adams's influence on modern fantasy and particularly children's fantasy is considerable; Watership Down may be the most important and influential children's fantasy novel published in the half-century gap between The Lion, the Witch and the Wardrobe and Harry Potter and the Philosopher's Stone, due to the sheer number of animal fantasies that followed in its wake (most notably, the Redwall saga by Brian Jacques and Tailchaser's Song by Tad Williams). The book is notable for its dark, often terrifying tone, which the 1978 film version does not shy away from either. Adams would later muse that maybe the book was too dark for children, but also that this may have contributed to its success. Adams resisted the urge to write more stories set in the same world, instead preferring to pursue more original work, until twenty years later when he published a related short story collection. Last year it was announced that Netflix and the BBC are working on a new, animated Watership Down TV series. Consisting of four hour-long episodes, the new series will feature voice acting from the likes of James McAvoy, Nicholas Hoult, John Boyega, Ben Kingsley, Olivia Colman, Ann-Marie Duff and Gemma Arterton. It is expected to be released in late 2017. Denis Villeneuve, the director of Arrival and the forthcoming Bladerunner 2049, is in talks with Legendary Pictures to direct their new movie version of Frank Herbert's Dune. The director has cited Dune as one of his favourite SF novels of all time and is keen on leading the project. Legendary recently concluded a deal with Frank Herbert's estate for both a film and TV series based on the Dune novels. The novel is set 20,000 years in the future, when FTL travel is reliant on the spice melange, which alters consciousness. It can be found only on one planet in the known universe, Arrakis, also called Dune, the third planet of Canopus. House Atreides is ordered by the Emperor to mine the spice on Arrakis, replacing their old enemies, House Harkonnen. However, the Harkonnens plan to return to Arrakis and launch a sneak attack. Unbeknown to the Harkonnens, the eldest son of the Atreides, Paul, has forged an alliance with the native Fremen, resulting in a prolonged conflict on which the fate of the galaxy may rest. There are six canonical Dune novels written by Frank Herbert: Dune (1965), Dune Messiah (1969), Children of Dune (1976), God-Emperor of Dune (1981), Heretics of Dune (1984) and Chapterhouse: Dune (1986), as well as a large number of mostly-reviled, fan-fiction prequels and sequels written by Herbert's son, Brian, in collaboration with Kevin J. Anderson. The original Dune has been adapted for the screen twice, as a 1984 movie helmed by David Lynch and a 2000 mini-series on the Sci-Fi Channel directed by John Harrison. In 2003 the Sci-Fi Channel filmed a mini-series based on Dune Messiah and Children of Dune, named after the latter. 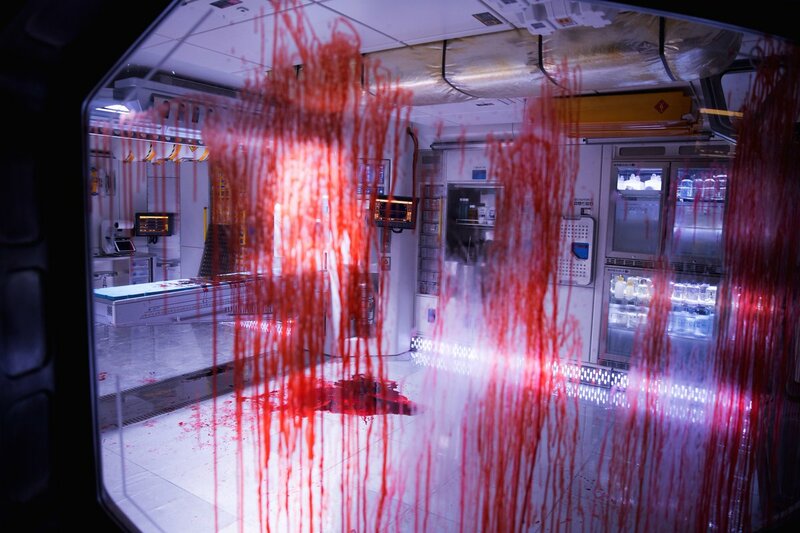 20th Century Fox have dropped the first R-rated trailer for Alien: Covenant, Ridley Scott's upcoming new film in the Alien franchise. This movie acts as a sequel to Prometheus and a prequel to the original Alien. 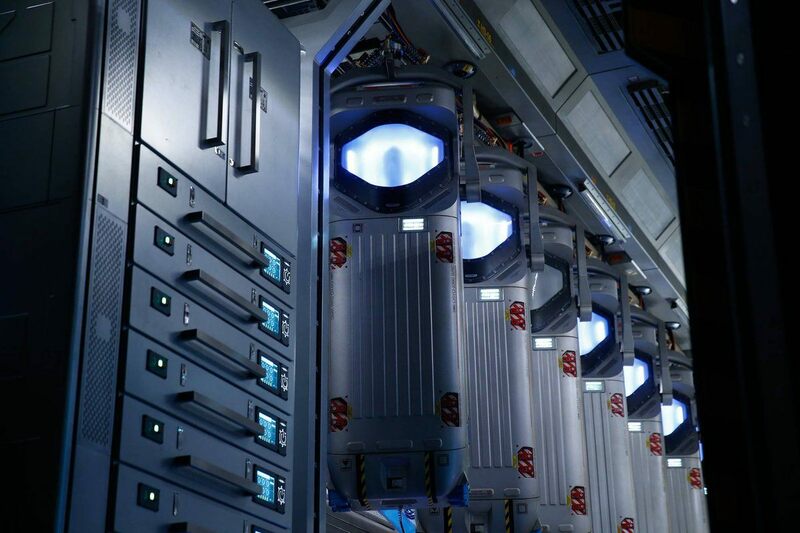 Set in 2104, almost eleven years after the events of Prometheus and eighteen years before Alien, the film sees the starship Covenant sent to colonise a distant, habitable planet that the Weyland-Yutani Company has discovered. Upon arrival, the landing party is infected by some kind of spore and mayhem results. The Engineer starship from Prometheus is soon found on the planet and it is confirmed that the android David and Noomi Rapace's character of Elizabeth Shaw will both return from the earlier movie. Hazarding a guess, I'd say that David and Shaw reached the Engineer homeworld and discovered it had been wiped out by the "black goo" genetic engineering experiments run amok. David and Shaw sent out a distress call that the Company received, resulting in them sending a rescue mission under the cover of being a colonisation expedition. I suspect the real mission will be known only to Walter, the David-type android on the Covenant, and maybe the captain. The movie appears to have deviated from the original plan. 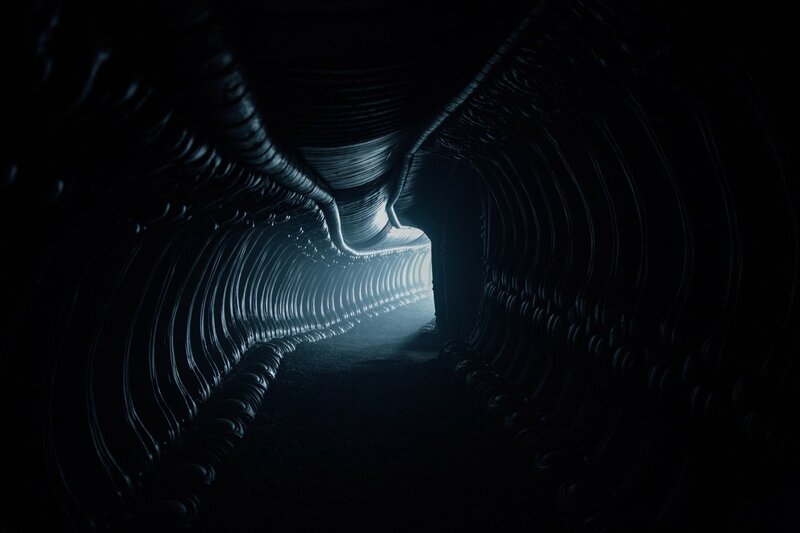 Ridley Scott's original Prometheus II concept would have picked up shortly after the events of Prometheus and followed David and Shaw to the Engineer homeworld, with a later film more directly linking to the events of Alien. My guess is that 20th Century Fox decided to skip that movie and what we're seeing with Covenant is more the plot of the originally-planned third film. The fact that the familiar xenomorph is in this movie (along with a spine-shredding variant known as the "neomorph") adds to that possibility. If this movie does well, there would appear to be scope for one more prequel movie (leading directly into the events of Alien, explaining what that Engineer ship was doing on LV-426) and then presumably we'd get Neil Blomkamp's Alien 5 project, which has been put on hold whilst Ridley Scott does his thing. Overlook Press have revealed the cover art for The Unholy Consult, the fourth and concluding volume in R. Scott Bakker's The Aspect-Emperor quartet, the second part of The Second Apocalypse mega-series. 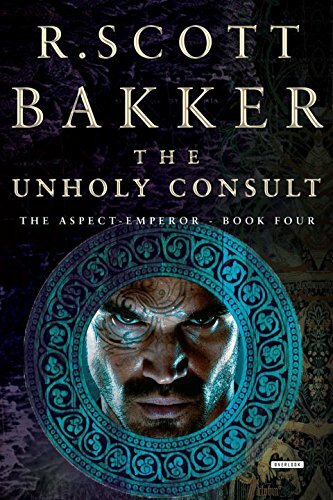 The Unholy Consult brings this particular part of the saga to a close, but Bakker plans to write another series - either a duology or trilogy - to wrap up the saga of Kellhus and the Second Apocalypse for good. Apparently the name of this final series would be a spoiler, so will not be revealed until after The Unholy Consult is released. The Unholy Consult will be released in the United States on 4 July 2017. It will be accompanied by an extensive "Encyclopediac Glossary" (similar to the one in The Thousandfold Thought) revealing a lot more about the history of Earwa. New and improved for 2017, this list updates the previous iterations from 2008, 2013 and 2015. 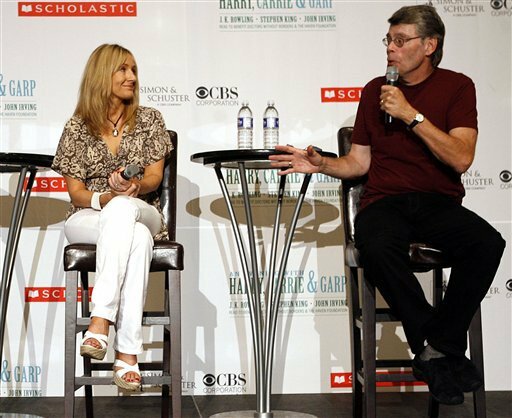 These two authors have sold (very nearly) a billion books between them. The usual rules apply: these figures come from publishers, websites and the authors themselves, they may be for all books in print rather than sold (although this will only cause a big difference for authors at the tail end of the list) and they are certainly not all right up to date. The first 10 authors are listed here, the rest after the jump. Please note that the text of some entries remains unchanged since the previous list, as I wasn't going to rewrite every single one where no new information can be found. As previously, I am indebted to the contributors to this thread on Westeros.org who kept the figures rolling in over the past eighteen months, and this thread where new information will be updated. Jussi of Risingshadow.net and forum users AncalagonTheBlack and TerokNor were invaluable in coallating this information (the latter for highlighting the biggest-selling German authors). J.K. Rowling may have completed Harry Potter, but the series is still selling phenomenally well. Coupled with the success of her two adult novels (The Casual Vacancy and The Cuckoo's Calling) and the Harry Potter stage play, her position at the top of the table is maintained. As said in The Encyclopedia of Fantasy (1996), King's worldwide sales are totally incalculable and the above figure remains fairly conservative. King's Dark Tower series has also sold more than 30 million copies by itself. Next year's film version will likely boost sales further. Tolkien's sales are likewise incalculable: 100,000 copies of a pirated version of The Lord of the Rings were sold in the United States alone in under a year, so the figures for unauthorised versions of the book in other countries are completely unguessable. What remains certain is that The Lord of the Rings is the biggest-selling single genre novel of all time, and possibly the best-selling single novel of all time. More than 50 million copies of the book have been sold since 2001 alone. The 100+ million sales of The Hobbit alone have also been bolstered significantly by the new Peter Jackson movies. If anything, the above figure may well be the most conservative on the list and Tolkien's sales may be vastly more than King's. The Twilight series has sold a quarter of a billion copies in less than decade on sale. An impressive and startling achievement. Anne Rice's Vampire Chronicles books were a huge phenomenon through the 1980s and 1990s, bolstered by the Tom Cruise/Brad Pitt movie. No change here, though Lewis's sales have likely increased somewhat due to the movies based on his Chronicles of Narnia novels. Netflix have released their Sense8 Christmas special. The new, double-length episode is designed to allow people to refresh themselves with the story, the characters and where everyone was left at the end of Season 1. You can watch the episode right now on Netflix. 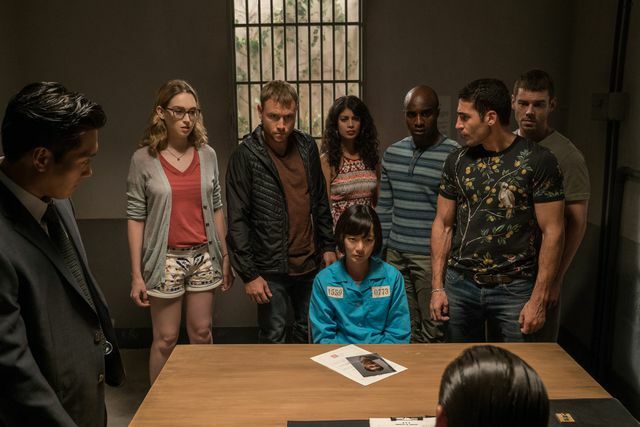 Season 2 of Sense8 proper will be released in May 2017. In May 2017, Ridley Scott will release Alien: Covenant. This is a sequel of sorts to his 2012 movie Prometheus and will serve as a semi-prequel to the original Alien, apparently bridging the way between the bizarre creatures seen in Prometheus and the more familiar xenomorphs. For the last few days 20th Century Fox have been unveiling promotional imagery for the new movie, accompanied by times and dates. These confirm that Alien: Covenant takes place (at least) between 7 and 8 December 2104. Prometheus took place in the final week of 2093, concluding on New Year's Day 2094. The original Alien began on 3 June 2122, with Aliens taking place 57 years later in 2179. So, if nothing else, it's good to see that someone is paying attention to the chronology of the series. 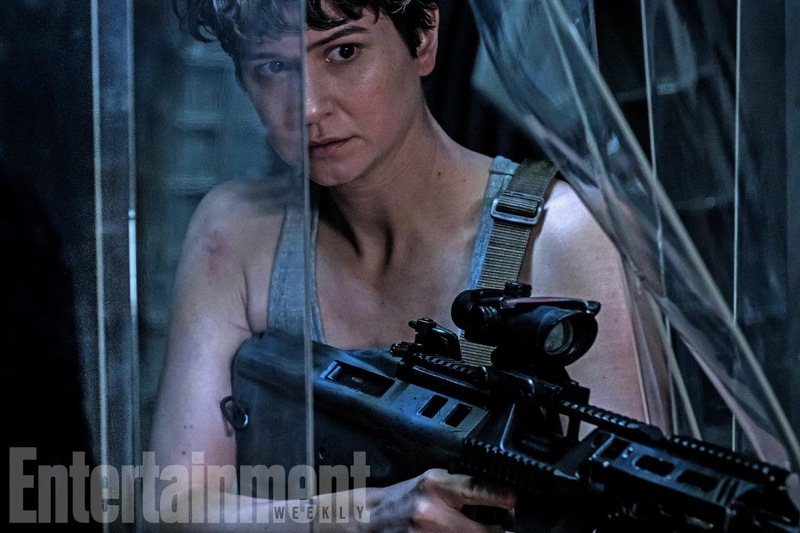 Alien: Covenant will be released on 19 May. The philosophy of the Gratuitous Lists feature was to have lists of stuff that are unranked, because frankly if you're talking about the 12th best thing of all time or the 9th best thing of all time, the differences are going to be pretty minor. In the case of a Star Wars movie list, however, that's kind of pointless because there's too few things to put on the list. So for these ones I'm ranking them and people can argue away to their heart's content. So let us proceed. 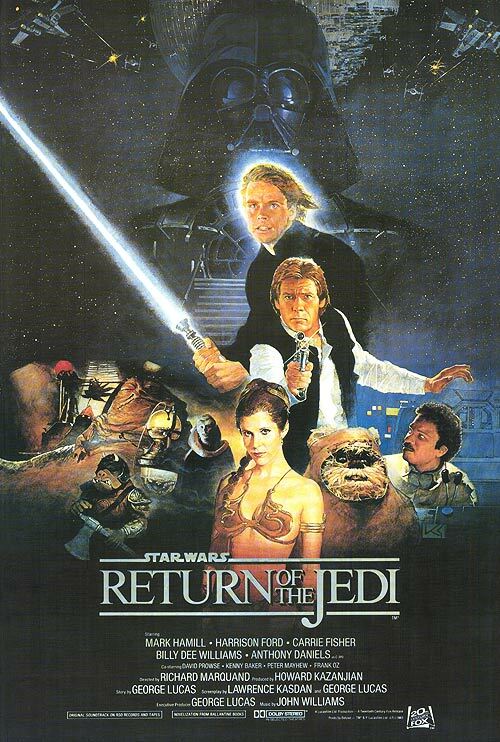 For the record, Lucasfilm have seemingly ruled both Caravan of Courage (1984) and The Battle for Endor (1985) - which were both released in cinemas in Europe - as non-canon, so I'm going with the nine Star Wars movies theatrically released since 1977. Over the course of five-and-a-half seasons, The Clone Wars evolved into a fantastic, gripping and fun pulp SF adventure show. However, it took a while to get there. The first few episodes were made on a limited budget with very few CG assets, whilst producer Dave Filoni and his team were still finding their feet with pacing and characterisation. George Lucas was a little bit too impressed by what the guys at Lucasfilm Animation had achieved when he decided it was good enough quality to go on the big screen. Coming in the same year as Wall-E and with a juvenile tone that turned off adult Star Wars fans, The Clone Wars just couldn't cut it. If some of the later, much better arcs and episodes had been made into an animated film, the results may have been different. Well, where to start? The worst live-action Star Wars movie has the most risible performances, dialogue (including the epic "hatred of sand" speech), execrable plotting and confused structural tics out of all of them. It's embarrassing to see actors of the calibre of Natalie Portman and Christopher Lee working with scripts this awful and the hyper-polished CGI sheen over the effects is sterile and uninvolving. 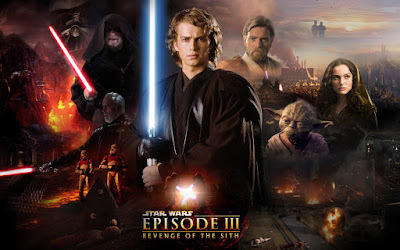 Hayden Christensen isn't quite as bad as is often said (given that even Samuel L. Jackson and Ewan McGregor are struggling with the material, Christensen doesn't really disgrace himself) but is still an uninteresting protagonist. Even John Williams is feeling uninspired, only rising to the occasion in his score when he revisits themes from previous movies. Revenge of the Sith and The Phantom Menace are at a very similar level of quality and you could swap their positions quite easily. Sith, for me, falls short for several reasons. The first is that the utterly pointless CG overload of Attack of the Clones is pursued and doubled down on in Revenge of the Sith, making the film feel even more artificial and sterile. The next is that the dialogue has somehow even gotten worse, along with the performances. Natalie Portman's cringe-inducing "You're breaking my heart!" and Ewan McGregor's completely flummoxed reaction to Anakin murdering children are both awful pieces of acting. There are some good moments in Sith - the dialogue-less moment where Anakin decides to betray the Republic and the execution of Order 66 - and John Williams remembers to show up with a couple of excellent scoring moments, but the long-awaited Obi-Wan/Anakin lightsabre showdown is awful and the conclusion of the Clone Wars is bitty and unsatisfying. Revenge of the Sith had the potential for greatness and wastes it thanks to George Lucas's ego. Enjoying The Phantom Menace is possible, especially if you cheat and watch The Phantom Edit (which cuts out the majority of Jar-Jar scenes and dramatically reduces the "endearing" antics of little Anakin). But even the original edit is fine if you can simply ignore Jar-Jar. 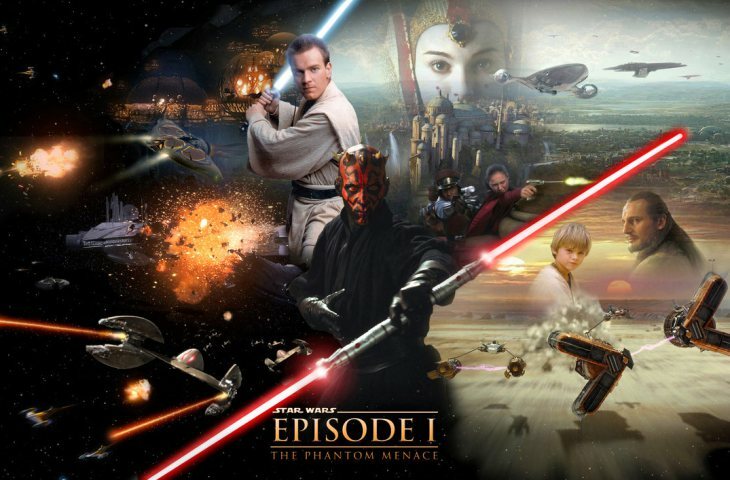 The Phantom Menace emerges as (marginally) the best film of the prequel trilogy thanks to its absolutely stellar soundtrack (a never-better John Williams), the grounded, inspiring presence of Liam Neeson as Qui-Gon Jinn and the use of real sets and models for many of the effects. It also helps that our main villain Darth Maul almost never speaks, so retains some menace rather than losing it by uttering inanely awful dialogue. Some CG overload is still present, but it's nothing as bad as the latter two prequel movies. 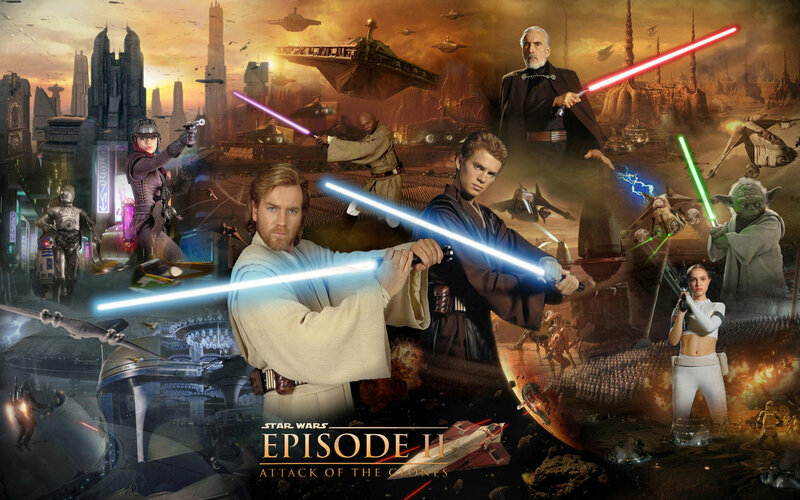 There's also a pacier feel to events, with the shifts in location and plot meaning that weaker scenes don't drag on as long as they do in the two other prequels, and the movie may feature the prequel trilogy's best set-piece with the pod racing sequence. It's still an enormously flawed film with plot holes you can drive a Star Destroyer through, of course, but not quite as awful as its reputation suggests. The gap in quality between #6 and #5 on this list may be the biggest such gap in the history of gratuitous lists. 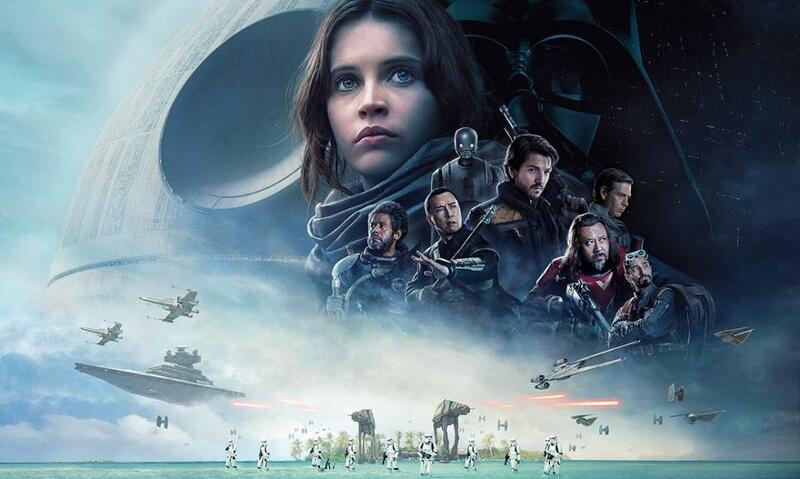 Rogue One is a fine movie with some fantastic performances, action sequences and individually powerful scenes. CG overload is mostly avoided and the film feels punchy, almost nailing The Dirty Dozen in Space vibe it is shooting for. The movie also, and rather surprisingly, justifies its existence by mostly avoiding continuity problems and fixing a couple of niggling problems in the original Star Wars. On the negative side of things, characterisation can be a little variable (Jyn's motivations seem to have gotten lost in the edit) and the way the film ends is structurally messy, whilst the score is forgettable. But congratulations to Lucasfilm for having the resolve to end the film in the only manner that makes sense. It's all good from hereon up. 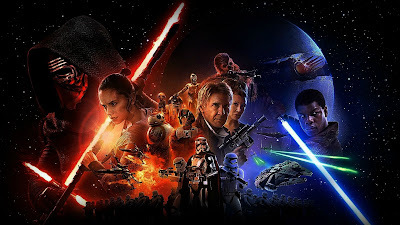 The Force Awakens is two movies sitting on top of one another. The first is the struggle of the Resistance to avoid the destruction of their hidden base by the First Order's planet-destroying superweapon, which is ludicrously powerful but has a rather-easily-exposed weakness. This plot is less than satisfying, since it's a retread of Star Wars (A New Hope). However, the second is the family drama of Han Solo and Princess Leia having a son strong in the Force who brutally betrays them, murders his way into a position of power in the First Order and embraces the Dark Side, but is constantly tempted by the lure of good. New character Rey has the chance to take his place as the new champion of the Force, but only if she can overcome her own limitations in the process. This latter story is far more interesting and provides The Force Awakens with its real dramatic meat. Excellent performances by newcomers and old hands alike (Carrie Fisher may have considered a couple of remedial catch-up acting lessons, but she doesn't have too much to do so that's not too much of a problem), excellent effects and John Williams dropping an awesome musical score combine to make a movie that couldn't feel any more Star Wars if it tried. Far from a perfect movie, the main problem with The Force Awakens is that it sometimes tries a little too hard to be Star Wars rather than going with the flow. But as franchise-resurrecting reboots go, this is impressive. Some may even say...most impressive. Return of the Jedi always comes last from the original trilogy when these lists are written, which feels a little unfair. 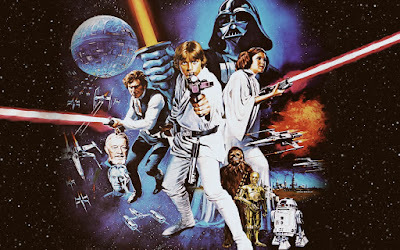 It's got the best space battle of the entire saga, it has a fantastic three-way showdown between Luke, Vader and the Emperor, it has awesome music and also some very fine dramatic moments (Luke and Vader's conversation at the docking platform may be the most underrated scene of the saga). Mark Hamill also gives arguably his best performance in this movie (although it's close between this one and Empire). It's also a bit of a structurally weak film. Spending so much time at Jabba's palace doesn't quite work, since Jabba is a secondary villain not really worth the screentime he eats up. Also, and this is far more prevalent on marathons when you don't have three years between films, Han Solo's entire kidnap storyline feels like a waste of time given how easily it is resolved. Han and Lando's morally dubious sides have also been eroded away with both now straight-up good guys and white hats, which makes them a bit less interesting. And of course, Ewoks (although I've never had that big a problem with them). But it's still a fine capstone to the first six films in the saga which earns its (mostly) happy ending. This is where the fun begins. 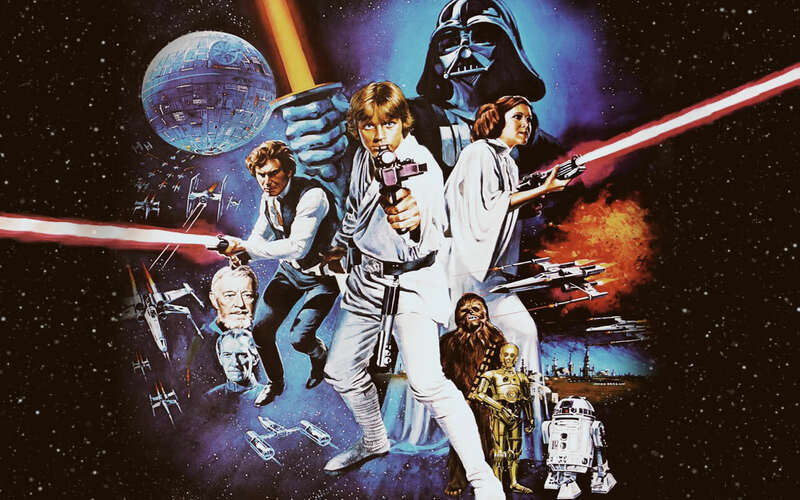 Released in 1977 and made on a modest budget, Star Wars (reluctantly aka A New Hope) utterly transformed cinema in a way not seen before or since. Watching it today, it's clearly the cheapest Star Wars movie but this also means it has to focus more on story, character and dialogue. It's also pacy and energetic, steered by a never-better George Lucas clearly realising he has the chance to reinvent the wheel here. A brilliant space battle, a tremendous musical score and some very effective Tunisian location filming all give the film a sense of scale and scope that goes beyond its meagre resources. 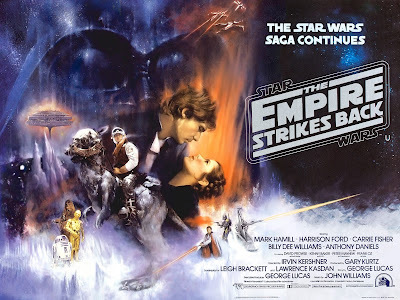 Thrown in tremendous performances from Peter Cushing and Alec Guinness and a star-making turn by Harrison Ford, and the original Star Wars is still a brilliantly-conceived piece of entertainment. The Empire Strikes Back being the best Star Wars movie has been clear for years, but it's still remarkable just how good it is. It goes dark compared to the original movie, but its power comes more from how invested the audience is in the relationships from the first movie and how effectively this sequel messes around with those relationships (Han and Leia hooking up wrong-foots the audience expecting her to get together with Luke). The film also feels more naturalistic, with director Irvin Kershner letting his actors breathe, discussing character motivation and improvise dialogue in manner that George Lucas was incapable of doing. Most importantly, new characters such as Yoda and Lando grab hold of the imagination and are just as strong as the returning characters, which is quite a feat for a sequel. The film also has arguably the Star Wars saga's greatest effects set piece as the Millennium Falcon swoops balletically through an asteroid field with John Williams' soundtrack framing events perfectly, with the Battle of Hoth not far behind it in quality. But of course the real reason the film emerges as the best in the saga is down to that climactic confrontation between Luke and Vader which turns what was supposed to be a disposable popcorn series into an epic, generation-spanning family tragedy. This remains the Star Wars bar of quality that needs to be beaten. 2016 has marked a new high in the number of scripted TV shows created in the United States. Astonishingly, 455 original dramas, comedies and musicals have aired during the course of this year. This includes new shows and established ones. This is a significant increase from 421 in 2015 and 389 in 2014. In 2009 there were only 210 such shows. 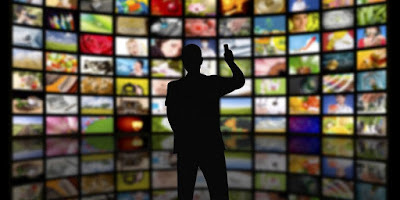 The increase is being driven by streaming services such as Netflix, Hulu and Amazon, which saw the number of original shows more than double from 46 to 93. And of course that's only the USA. The UK continues to generate more English-language shows, as does Canada, Australia, New Zealand and more. Foreign-language shows are also making more of an impact, such as France's The Returned and Brazil's 3%. The biggest new American shows of 2016 were probably HBO's Westworld, NBC's This is Us, Netflix's Stranger Things and FX's Atlanta, although Netflix's The OA has also picked up some late-breaking buzz. Returning hits were numerous (such as Netflix's Daredevil), but The Walking Dead and Game of Thrones once again dominated the zeitgeist. A growing problem for fans of good drama is how on earth they can sample even a small portion of this vast amount of content. Speaking as someone who watches a lot of TV, it's all I can do to keep up with a few shows and still watch new ones here and there. It's a good problem to have (especially given the fear a few years ago that reality TV was going to take over everything), but I'm starting to think that TV drama producers should agree to a five-year moratorium on making new shows until everyone has caught up with everything they've wanted to see from the last few years. 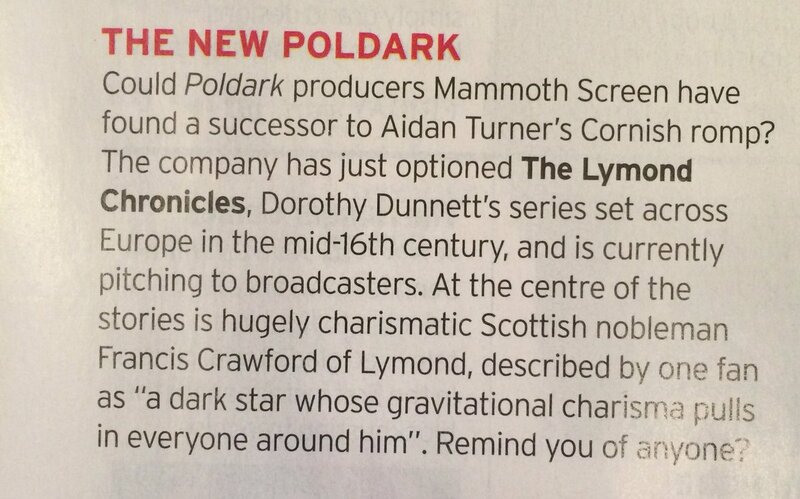 British production company Mammoth Screen (Victoria, Poldark) has optioned the six-volume Lymond Chronicles, a critically-acclaimed historical series by novelist Dorothy Dunnett. 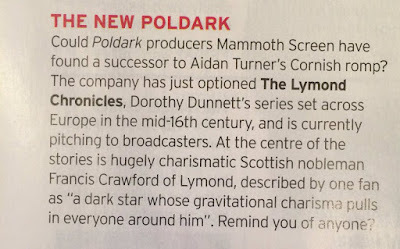 The Lymond Chronicles tell the story of Crawford Lymond, a 16th Century Scottish gentleman and renaissance man skilled at music, history, science and war. His formidable skills are called upon by several different European states to aid them in times of crisis. The series comprises The Game of Kings (1961), Queens' Play (1964), The Disorderly Knights (1966), Pawn in Frankincense (1969), The Ringed Castle (1971) and Checkmate (1975). Dunnett later wrote an eight-volume prequel series, The House of Niccolo (1986-2000), and considered the two series to comprise one story. Dunnett (who passed away in 2001) is widely regarded as one of the very finest writers of historical fiction, with her fans including noted fantasy authors Guy Gavriel Kay and George R.R. Martin. Oddly, the news has been disclosed to print magazines but not been announced online yet. Brandon Sanderson has issued his annual "State of the Sanderson", confirming what projects he will be working on in the coming year. On the Stormlight Reddit community, he has also issued a larger-scaled overview of his Cosmere mega-sequence and where he sees the series going. For 2017, Sanderson will be releasing Oathbringer, the third Stormlight Archive novel, in November. The Lost Metal, the final Wax and Wayne novel set on the Mistborn world, will likely be released in 2018, alongside his next YA novel, The Apocalypse Guard. The second White Sand graphic novel will also likely appear in the next two years. Elantris: A three-book series. Elantris itself was released in 2005 as Sanderson's first novel. Elantris II is on the horizon and getting closer, but is not imminent. Mistborn: Originally a trilogy of trilogies, but expanded to 13 volumes with the addition of the Wax and Wayne sub-series. The first trilogy is done and Wax and Wayne will be done by the end of 2018. There will be two further trilogies. The first will be written in the gap between Stormlight Books 5 and 6, with the final set of three books acting as a capstone to the entire Cosmere mega-series. Warbreaker: At least a duology. Warbreaker itself was released in 2009 but the sequel, Nightblood, which will bridge the first book and Stormlight Archive, is a long way off. The Stormlight Archive: A 10-book series, unfolding in two five-volume halves. Books 1 and 2 are out and Book 3 will be out at the end of 2017. White Sand: Originally planned as a trilogy, but now being released as a graphic novel trilogy instead, with Book 1 already out. Dragonsteel: A planned 7-volume series which will explore the backstory of Hoid and the 17th Shard, the glue which holds the entire Cosmere together. However, Sanderson has indicated this series may be shrunk to 5 volumes and possibly just an ultra-focused trilogy. This will be the second-to-late Cosmere series, with only the last Mistborn trilogy to follow on from it. 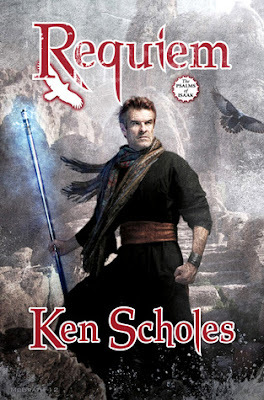 Sanderson has also confirmed that he still plans to write and release Aether of Night and The Silence Divine (although one or both may be shrunk down to novellas), as well as a novel set on Threnody (the planet of the Shadows for Silence in the Forest of Hell novella) and possibly a novel sit in Silverlight (a city mentioned in Arcanum Unbounded, possibly a city-between-dimensions where worldhoppers can hang out, like Sigil from Planescape). This puts the total Cosmere series at around 36 novels and three graphic novels. The Clone Wars are reaching their peak, but the Republic's victory is far from guaranteed. On Onderon a group of hardened rebels led by Saw Gerrera seek aid from the Jedi. A covert Republic infiltration squad is formed out of a band of droids led by R2-D2 and is dispatched on a deadly mission. But most dangerous is the unexpected return from the dead of Darth Maul. Allying with the Death Watch, he launches an assault on the planet Mandalore and seeks to lure his arch nemesis Obi-Wan Kenobi into a deadly trap. 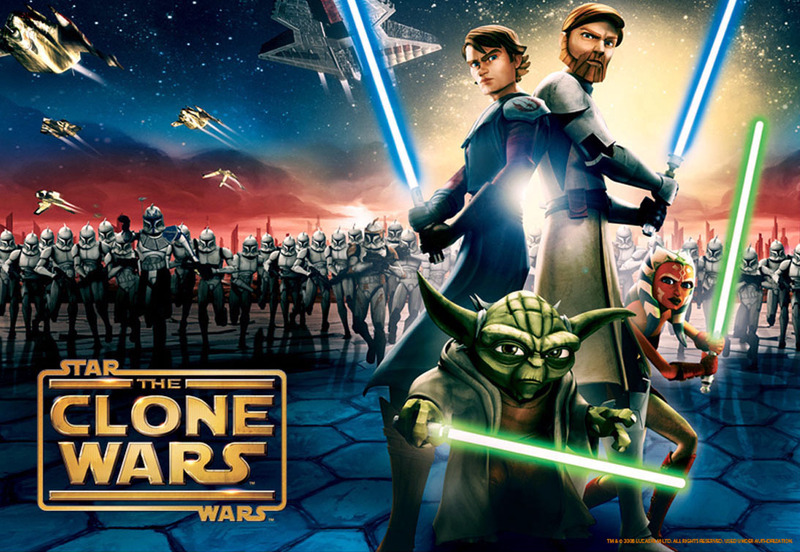 The fifth season of The Clone Wars takes a slightly different format to the proceeding ones, which mixed stand-alone episodes with longer-form story arcs. This season consists instead of five four-episode arcs. This allows for a slightly slower pace and more character and plot development instead of the frantic action and sometimes over-accelerated storytelling of earlier seasons. The first arc (after a brief prologue dealing with Darth Maul) is set on Onderon and sees Anakin and Ahsoka join forces with Saw Gerrera (who was recently promoted to the live-action movie franchise with an appearance in Rogue One) and his band of rebels. This is a straightforward story which starts off with an interesting clash of tactics between Gerrera, who wants to use more lethal tactics and accept civilian casualties, and other rebels who adopt a more moderate tone. Unfortunately this clash of ideologies is not explored further and abandoned in favour of lots of action scenes. The story does end on a more ruthless and brutal moment than might be expected. The second arc deals with a band of younglings undergoing a Jedi rite of passage on an ice planet, only to get caught up in a battle between pirate warlord Hondo and General Grievous. This is a fun arc, at least until your remember that all these kids get killed by Anakin in Revenge of the Sith, but it works quite well. The third arc is by far the funniest. R2-D2 is assigned to a droid infiltration squad led by General Gascon, who feels he was chosen for his tactical skills and not remotely because he is the only Republic officer small enough to fit inside one of the droids. The result is a hilarious series of misadventures as Gascon and the droids attempt to steal some important data plans and get them back to the Republic no matter the cost. After watching this, I wonder how long it will be before Disney gets Pixar to make a Droids movie. In the third arc Darth Maul and his brother Savage Opress join forces with Jabba the Hutt, the Black Sun syndicate and the Mandalorian Death Watch to conquer Mandalore and set up a new criminal empire. This story is cheesy but fun, with various bad guys from across the lifetime of the series joining forces to conquer a planet. Darth Maul's survival after being cut in half in The Phantom Menace is more than slightly unconvincing, but it does result in a pretty intense and epic storyline, particularly its tragic and powerful ending. The final arc is the best, and the best thing The Clone Wars has ever done. Ahsoka is framed for a crime she didn't commit and goes on the run. The result is a stunning story with the best animation in the show's history and some very well thought-out characterisation. Cynically, the story is probably just a way of explaining why Ahsoka doesn't show up in Revenge of the Sith or die in Order 66, but it's tremendously well-handled all the same. The fifth season of Star Wars: The Clone Wars (****½) is the best to date, with the new format working really well and allowing for better, deeper stories to be told. It is available now as part of the Complete Season 1-5 box set (UK, USA). The sixth season of The Clone Wars was cancelled mid-production to make way for a new series, Rebels (now airing its third season in the States). The first 13 episodes of the season were finished and released as The Lost Missions, which I'll get to as soon as possible. Season 1 of The Expanse is available now in the UK and Ireland on Netflix (and from next week on Amazon in the USA). 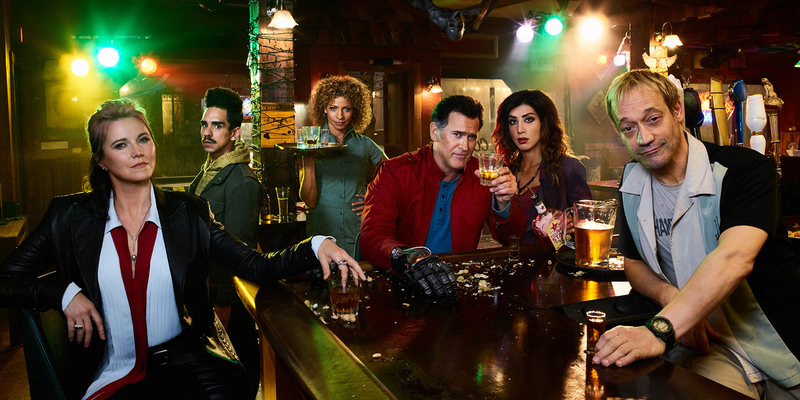 Season 2 will debut in the USA on SyFy on 1 February 2017. Warner Brothers have released the first trailer for their upcoming Blade Runner sequel, Blade Runner 2049. The new film is set thirty years after the original Blade Runner (released in 1982) and will see Harrison Ford return to the role of Rick Deckard, a "blade runner", a cop who tracks down and exposes replicants, genetically-engineered entities with pre-programmed memories who are designed to pass as human. Ryan Gosling is playing a new character, a Los Angeles cop named "K" who has to track down the missing Deckard. Robin Wright and Jared Leto will also star. Denis Villeneuve (Sicario, Arrival) is directing from a script by original Blade Runner co-writer Hampton Fancher and Gotham and Heroes scriptwriter Michael Green. Acclaimed cinematographer Roger Deakins (The Big Lebowski, The Shawshank Redemption, Skyfall) is also on board. Johann Johannsson (Arrival) will be scoring the film. The need or necessity for a Blade Runner sequel has been fiercely debated by fans over the years. 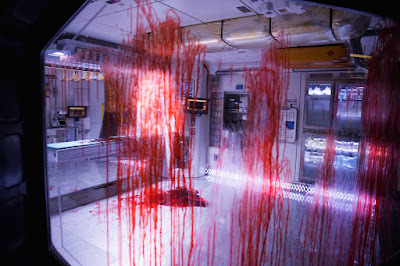 However, the decision by Ridley Scott to step back to only produce the movie and hire Denis Villeneuve as director instead has raised interest in the sequel, due to the latter's excellent work on Arrival. The appearance of Harrison Ford in an aged state has caused confusion in some quarters, as repeated public statements and interviews with Ridley Scott over the years have confirmed that Deckard is a replicant and thus should either be dead or un-aged. However, the original film itself did not confirm this, only heavily indicated it (with cop Gaff revealing he knows what Deckard has been dreaming about, which would only be possible if he could access Deckard's memories, which can only be done to replicants). It is possible that Scott's view has been altered by the need for a sequel storyline, or that Deckard is some advanced form of replicant capable of ageing. The Shogun of Japan has unified his country after years of war, but a new warlord named Kage-sama has arisen and is gathering allies. The Shogun tasks an elite samurai warrior, Mugen, with identifying Kage-sama and defeating him. More comfortable fighting on the battlefield than from the shadows, Mugen assembles a crack team of unconventional warriors to aid him: shinobi Hayato, courtesan-assassin Aiko, elderly crack marksman Takuma and young thief Yuki. Together they set out to defend Japan and its Shogun from a shadowy enemy. Back in the late 1990s and early 2000s there was a flurry of games played from an overhead perspective that emphasised stealth, skill-based gameplay and player freedom on how to complete objectives. These included the three-game Commandos series (particularly the second), the two-game Desperados series and the one-off Robin Hood: Legend of Sherwood. These games were noted for their atmosphere and level of challenge. They gradually faded away as developers chose to switch to first and third-person perspectives for stealth games. The most recent title to dabble in this genre recently was the excellent cyberpunk game Satellite Reign. Ostensibly a spiritual sequel to the 1993 combat-heavy Syndicate, Satellite Reign took the opportunity to change things up and add classes, skills and stealth systems, making it more like a cyberpunk Commandos but with a more viable choice between combat and stealth. Shadow Tactics: Blades of the Shogun is made by a completely different developer, but both games use the Unity Engine and have some similarities in interface and feel, although obviously the aesthetics are completely different. Once again you control a group of agents who are given missions to perform. You can control anything from two to five agents per mission. Unlike other games in this genre, you don't create the operatives or decide on their equipment or skills. Instead you are given five characters, each of whom has a distinct personality, voice acting and backstory. This immediately personalises the game a lot more, with your team discussing how each mission is progressing and occasionally giving hints on how to proceed. The game is played from an overhead perspective and you have to guide your agents through a location to achieve mission objectives. Sometimes the location is a town or village inhabited by civilians and you have to avoid giving away your position and remaining undetected (if you have to kill people to do that, so be it but the game does give out achievements and badges for nonlethal approaches). Most levels, however, are crawling with enemy soldiers and samurai and you are given freer reign to kill your way to victory. However, this is more easily said than done. Your characters are relatively fragile and enemies are quick to give the alarm if they see you. Each enemy has a "viewing cone" which shows if they they will spot you if you start moving. Sometimes taking an enemy down is as easy as sneaking up behind them, stabbing them and moving their body into the nearest bush. Basic soldiers are also easy to distract, either through Hayato throwing rocks, Takuma's pet Kuma doing tricks or Yuki's flute luring them into a trap, but more disciplined troops (wearing straw hats) are much more vigilant. Toughest of all are samurai, heavily armoured troops invulnerable to most attacks and who can only be killed by Mugen in honourable combat or brought to their knees by gunfire and then killed in melee. Sometimes groups of enemies have to be taken down simultaneously through "Shadow Mode", allowing you to queue up one action per character and then execute them at once. So if two guards are standing in each other's eyelines, you can arrange for Yuki to stab one in the back and Hayato to throw a shuriken at the other to take out both before they can raise the alarm. Each character has a diverse skill set which can be used in tandem with other characters to come up with some epic game moments. Using Aiko's sneezing powder to briefly blind a guard whilst Mugen kills two other guards ten feet away with his Sword Wind attack and then run off with both bodies before the first guy can recover is hilarious, especially when the blinded guard recovers and wonders if he's going mad. There are also environmental actions possible, such as knocking rocks onto passing troops or bringing down tree branches to crush enemies in ways that look accidental. Each level is meticulously, fantastically well-designed. Each obstacle has multiple ways of overcoming it and, because Blades of the Shogun is a game of systems rather than planned set-pieces, some of them were never expected by the developers. This leads to tremendously satisfying emergent gameplay moments, such as when I used a cow as a way of safely eavesdropping on two samurai standing two feet away, or created a "tower of death" with Yuki luring passing guard after passing guard to its summit and their doom (I think I topped out at about 15 bodies hidden in the tower). The game's graphical style is beautiful, varied and always compelling. Character models are relatively undetailed due to the bird's eye view, but well-animated with characterisation being helped by body language as well as the very good voice acting. The music is minimalistic but accomplished. The game works brilliantly. Coming up with a plan to take down two or three enemies at the same time without alerting the camp and then executing it is tremendously satisfying, but adapting on the fly to changing circumstances can also be exhilarating. If you're discovered and the alarm goes up, staying and fighting head-on is suicidal but if you've planned for it, laid traps and got the right characters in the right place, you can still wreck mayhem on the arriving troops. On one level Mugen ambushed a strung-out line of reinforcements with devastating efficiency, killing over 60 enemies whilst remaining undetected. The stealth model is also vigorous, fair and even a little bit forgiving. Generally if the alarm goes up, it's because you haven't done enough preparation, positioned a character incorrectly or chose the wrong tactic. That said, the game's interface could be a bit more streamlined and context-sensitive. You have to select an action - even the basic attack - and then click on the target, which feels more cumbersome than it should be. The camera controls are also not the most reactive, with mission objectives occasionally failing because you couldn't spin the camera fast enough to click on the right spot, which is aggravating. Finally, the game has problems working out if you are trying to get a character to jump on top of a wall or hide behind it, resulting in delays, more camera-spinning and the risk of discovery. However, it takes only a couple of levels to learn the limitations of the engine and adjust to it accordingly. Games of this type are traditionally light on narrative and story, but Blades of the Shogun has a compelling story told through the five characters you guide from mission to mission. It's not going to win prizes for originality, but it's fun and there are a couple of unexpected twists. 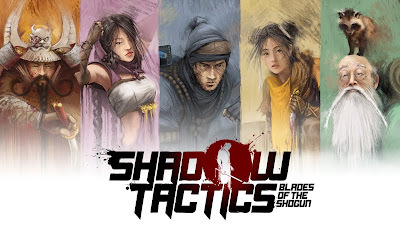 Shadow Tactics: Blades of the Shogun (*****) is an addictive, challenging and highly enjoyable game. It has a great story and characters, coupled with some impressive freedom on how to complete objectives. 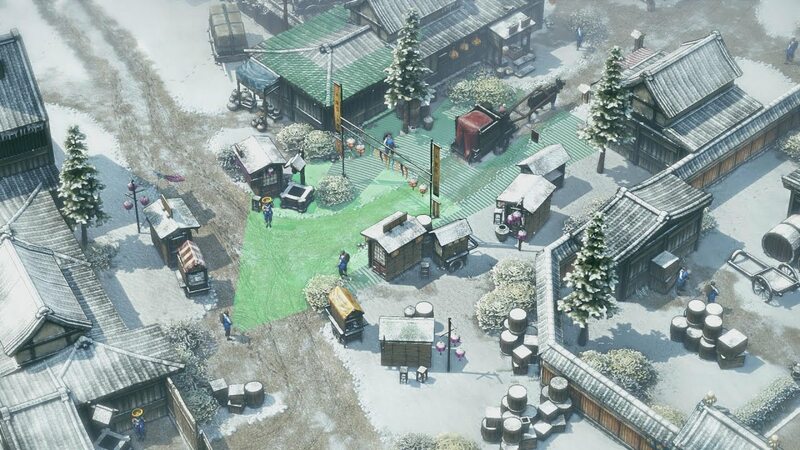 I wasn't expecting a game to come out of nowhere and very nearly walk off with the title of best game of the year, but Shadow Tactics makes a very strong case for it. The game is available on PC from Steam and GoG now. You can also download a free demo from Steam and GoG to try the game before you buy. The game will be released on PlayStation 4 and X-Box One in 2017. The NX-01 Enterprise, Earth's first deep-space exploration vessel, continues to visit new worlds and make first contact with new species. However, Captain Archer's mission is complicated by rising tensions between the Vulcans and Andorians, the ongoing threat of the Suliban and internal dissent within the Klingon Empire which results in a price being placed on his head. 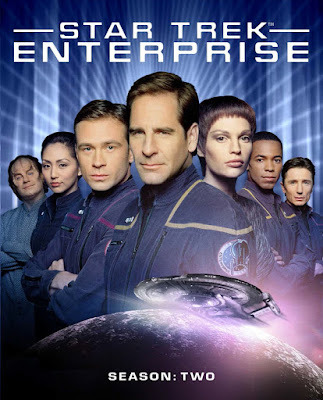 The first season of Star Trek: Enterprise was promising and intermittently fun, but it was also highly variable in quality, pulled its punches a lot and didn't have the courage of its convictions. A Star Trek prequel series featuring life at the rough end of space, humans establishing relations with races like the Tellarites, Vulcans and Andorians and featuring lots of low-tech solutions that Geordi or O'Brien would have fixed in five seconds in later series could be quite exciting. Enterprise doesn't do that, however. It's really just another Star Trek show, slightly bland and playing it safe whilst leaning a lot on Star Trek tropes that were exhausted long before The Next Generation ended, let alone by the time Enterprise was on air a full decade later. The season actually starts off in an entertaining enough fashion, with T'Pol relating the story of a Vulcan science team stuck on Earth in the 1950s which does some typical but amusing culture clash stuff quite well. A Magnificent Seven-riffing episode has the crew help a team of miners defend themselves from Klingons and a war episode focusing on Andorians and Vulcans fighting over a contested moon is clever for how it shows that human flexibility can be an asset in resolving a situation that the Vulcans can't deal with through logic alone. There's also a solid Klingon trial episode starring J.G. Hertzler as a Klingon attorney and a very good first contact culture clash episode starring the late, great Andreas Katsulas as an alien captain who forms a bromance with Captain Archer over their mutual love of exploration. A late-season episode featuring a flashback to Archer's days as a warp test pilot (riffing on things like The Right Stuff) is also decent. There's a solid sense of character progression throughout the season as well, with T'Pol developing into a more interesting character and Phlox getting some interesting episodes as well. The weaknesses from Season 1 remain intact, however. Trip gets far too many episodes dedicated to him when he is simply far too bland and uninteresting a character to merit it, Travis gets exactly one episode to do anything of interest in (and doesn't do too great a job) and Hoshi doesn't even get that. To be fair they do drop some of the more frustrating elements from Season 1 - the Temporal Cold War is pretty much forgotten about, apart from two episodes - and they also work on making the Klingons more formidable bad guys at the end of the season, but Enterprise remains firing on half-thrusters for most of the season. For every good episode there is a dull-as-dishwater one, and a couple that are flat-out terrible. That said, the season finale is surprisingly good. The Suliban reluctantly form an alliance with Enterprise to combat a greater threat in a region of space known as the Delphic Expanse, setting the scene for the much more heavily-serialised third season. 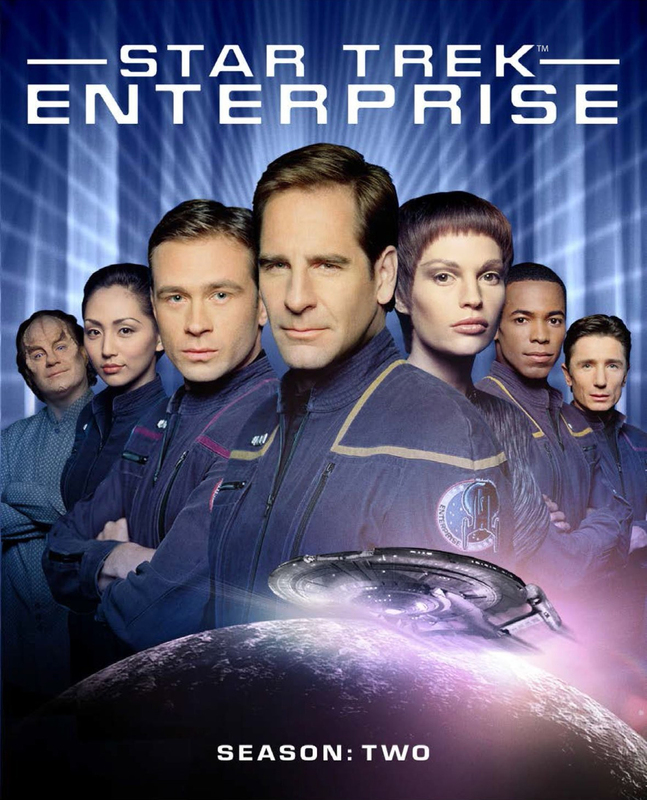 The second season of Star Trek: Enterprise (***½) remains watchable and at times it lives up to the promise of the premise. But all too often it waters down gripping ideas into dull, Star-Trek-by-the-numbers morality plays and sells short its own potential. The season is available now on Blu-Ray (UK, USA) and on Netflix in the UK and Ireland.